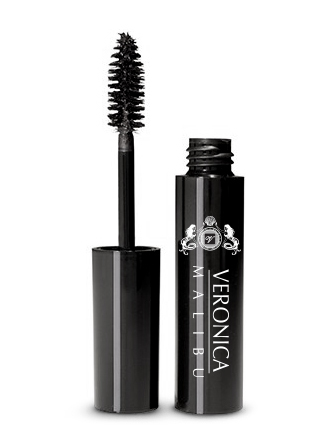 This voluminous mascara offers the look of false eyelashes without the hassle! This hypoallergenic and paraben-free formula is good for even those with the most sensitive eyes. Patented V-shaped brush lifts and curls lashes from root to tip like no other mascara on the market! 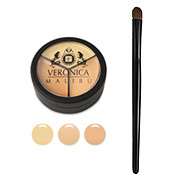 Intense color and volume in a single coat and does not flake or smudge. You can reapply it at the end of the day without clumping like most mascaras, and it will never make your lashes stiff! This mascara comes off like a dream when you remove it. No more pulling and tugging on the delicate skin around the eyes, and it doesn’t come off and leave marks on you skin during the day. This is a DREAM mascara! Apply generously to lashes by blinking upper lid against the wand and wiggling the bristles at the lash roll to build the thickness and deposit beneficial ingredients on lashes. Use the end of the brush to fill in individual lashes. You can reapply during the day to build up without fear of dry, clumpy lashes. The first easy mascara for beautiful eyes!